Guess what? 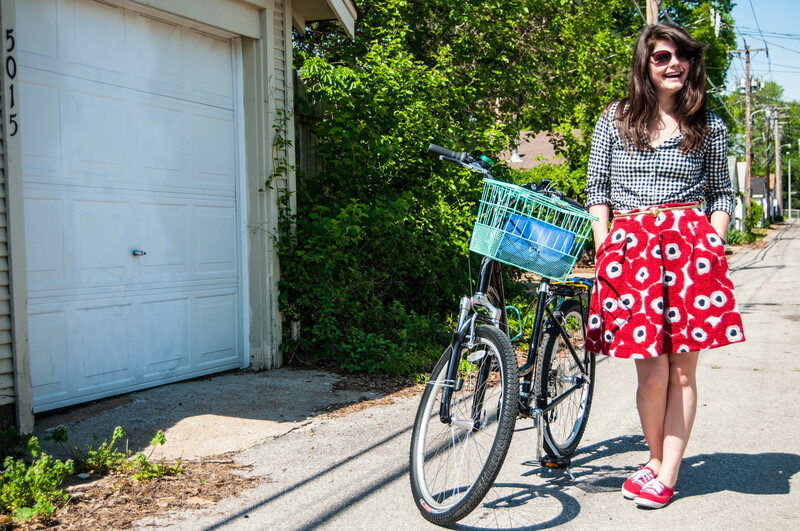 Riding a bicycle in a skirt can be done! 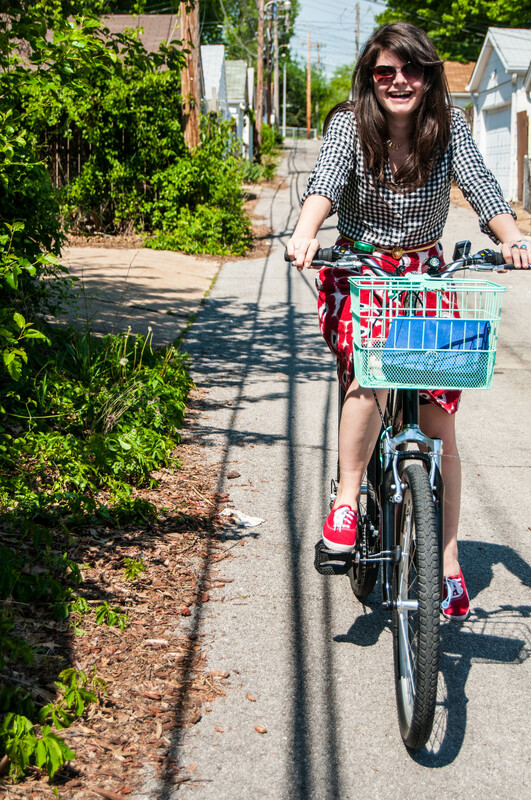 I learned from the best (ahem, Lauren & Sarah) that I can ride my bike in whatever attire I like – including skirts. 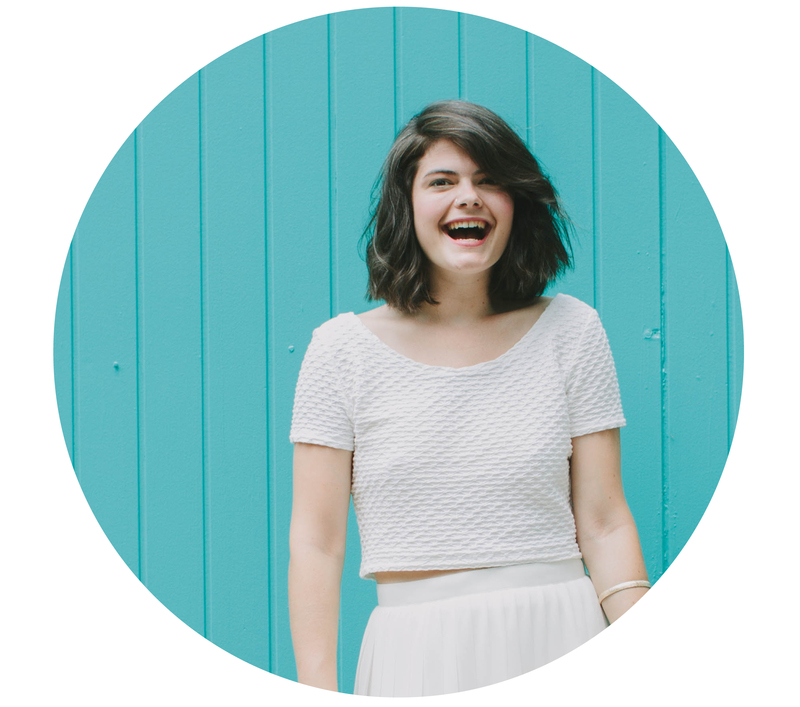 I’ve been in love with patterns lately – and mixing them. 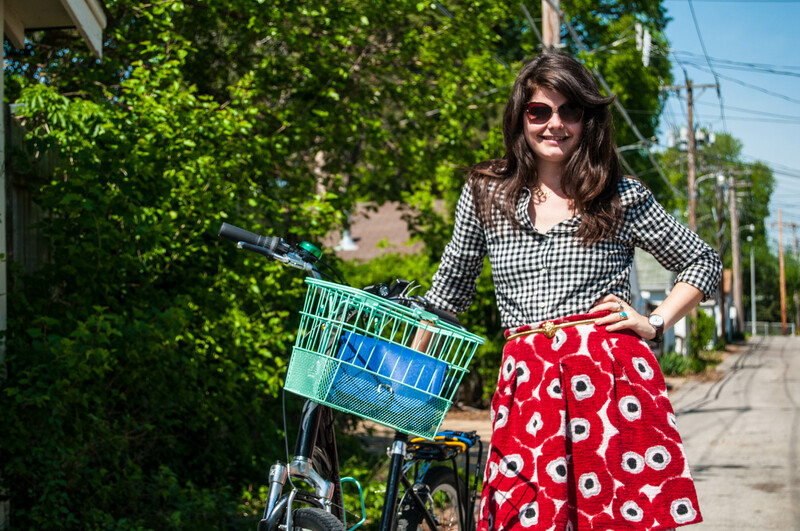 A little gingham button up and a poppy print skirt (with pockets!) make quite the statement when paired, accompanied by the most insanely cool lion head belt. I haven’t quite mastered the art of riding in heels yet, so these Keds were just right. And the perfect color. 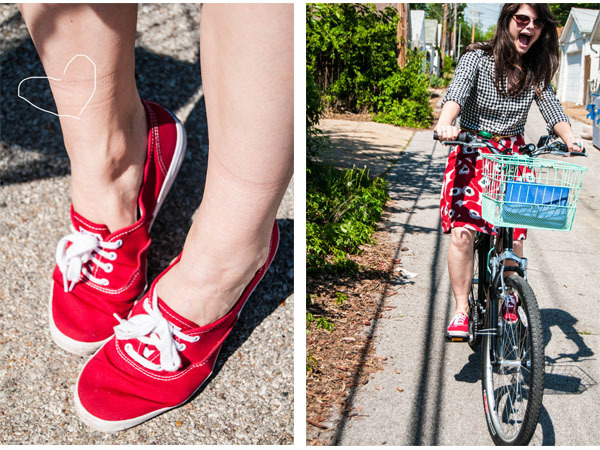 Really, I think i’m going to live in those red Keds this summer. 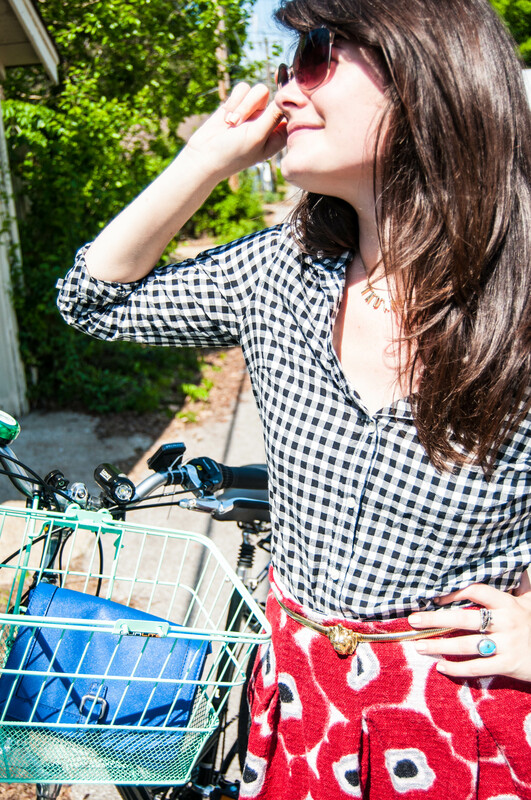 Wear it: tooling around town on a bike!